In the survival and prepping community, we often use the abbreviations SHTF and WSHTF. SHTF is the inevitable big catastrophic event that will require people to depend on their skills, resources, and knowledge for survival. WSHTF adds an important word to the acronym, with the “W” standing for when. We use the acronym to describe our plans: “WSHTF I am bugging out to an off-grid cabin in Montana.” It is important to note that the acronym is not “ISHTF” substituting “if” for “when.” The “W” itself acknowledges the inevitability of a SHTF world-ending scenario. We are going to take a look at this important addition to the acronym today to narrow down the time “when” will actually happen. Chances are that we will get sick, injured, or die before any SHTF situation occurs that completely destroys the world. The interesting thing about this, however, is that the world is going to end. Time is constantly plodding forward towards this inevitability. Every hour passed is an hour closer to the end of the world. This means that as time passes, each and every second increases the chances of us encountering SHTF. This means that the “when” in WSHTF is getting closer by the minute, and the longer humans go on living the closer they are to the next emergency, disaster, or apocalyptic event. Not every situation is avoidable or able to be mitigated. No matter how much ingenuity, cooperation, or resources we throw at problems, some situations simply cannot be ‘won’. Assuming that humans can extend the timeline of the world sure is giving us a lot of credit. This would assume that we are not counterproductive, busy starting wars, using up resources, and eventually causing an overpopulation crisis. Recognizing this second flaw is what separates preppers from the general public. 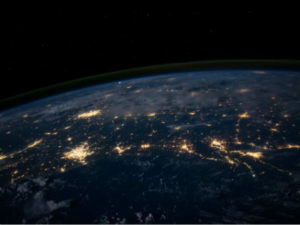 Most preppers take the logical (although pessimistic) stance that on a global scale, humans are not helping the situation of our running clock, but are actually speeding it up. This is not ‘survival fanaticism’- just taking the information the world provides us at face value. The differences between science world-ending predictions, and religious predictions are pretty large. For starters, religions usually predict the end much more specifically and usually predict it to occur sooner than most scientific theories. While plenty of predicted dates are now in the past and were obviously not correct, there are still several predictions for the future. If you are a student of science and are ready to dismiss any religious prediction, I suggest you stick around anyways. Several religions depict a world ending event, or series of events. The rapture and apocalypse is laid out in great detail in the Book of Revelation. The Quran (2280) and the Talmud (2239) from Orthodox Judaism lay out specific dates for the end of the world. Sir Isaac Newton predicted the world will end in 2060, a jubilee from Jerusalem’s reuniting with Israel, based on research the Bible. So, according to a few religious sources, the answer is within the next few centuries. While the planetary risks span millions of years into the future, most of the human caused events above are possible within our lifetime. The timeline spelled out by scientists is an increasing risk out to millions of years or space colonization. We know, it’s bleak. If we fix one problem, it is just a fix until the next one shows up. I like to use the ‘balloon analogy’, where if you poke a balloon, it will pop out larger in another spot. Some of these incidents, you cannot do anything about. No amount of prepping could prepare you for a 15km asteroid colliding with the Earth. No stockpile of ammunition would help you with an alien invasion. A quick aside real quick: if an extraterrestrial lifeform had the wherewithal to use interstellar travel to get to our planet with the intention of annihilating our species, you better believe they did their homework and would end us more quickly and efficiently than we could ever imagine. No Hollywood alien battle scenes- it would as easy to them as a child stomping an anthill. So why do we waste our time? Well, because WHSTF does not only cover true world ending events, of course! We covered the TEOTWAWKI (the end of the world as we know it) events, both religion and science based. While many of those cannot be prepared for, there are still many events that can be prepared for. Even some TEOTWAWKI events are not 100% extinction events. Global and regional disasters are definitely not extinction events. Luckily (I know, odd word choice) for us, these are the much more likely scenarios. A practical prepper is not prepping for an alien invasion or 15km asteroid impact- they are preparing for the likely scenarios of pandemic, war, natural disasters, etc. A true prepper is ready for everything, from a kitchen fire to that pandemic, and is not concerned with the events out of their reach or control. 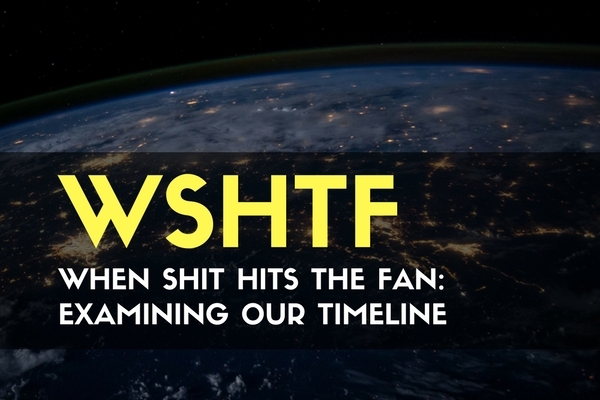 The timeline for WSHTF, practically, is within this lifetime. 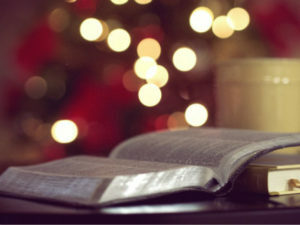 An event that will be world altering to you and your family is becoming more and more likely by the second- whether it is a regional disaster, global pandemic, or the end of the world. Dwelling on specific dates the world will end and specific causes is not helpful or healthy. Stepping back and appreciating the overall risk and possibility is. Get prepared for local emergencies, regional disasters, and global SHTF situations because they are not just probable- they are inevitable. Learn what specific threats are most likely for you by checking out our TrueRisk analysis page. Keep exploring, stay prepared, and be safe. The S will HTF when Israel is invaded from the north by a coalition of nations led by Russia. This coalition includes, primarily, Iran, Libya, Turkey “and many others”. The invasion is described in great detail in Ezekiel chapters 38 and 39. The invasion will fail in its objective, which will be to conquer and rob Israel. Before the invaders reach Jerusalem they will be destroyed by two things: infighting and an overwhelming storm sent by God. Apparently, as the invaders fall, a nuclear war will begin (39:6). Soon. These nations are at Israel’s northern border right now. I re-read Ezekiel 38 and 39 and you are right- it does depict several events in rapid succession. Although it doesn’t give a specific timeframe, we can all agree every minute is a minute closer to SHTF! SHTF can be a personal event as well. My family experienced a major financial setback last summer from which we still are recovering. We have eaten from our stores since then. Without a deep pantry we would have been in deep trouble. Great point, and thanks for sharing.